I’ve had a baby. Well, you know, I contributed to the creation of a baby (Niamh) who this week exited her mother. I’m sure you’ll agree it’s still a pretty big deal though and a perfectly valid reason why I haven’t been keeping you up to speed with the Giro d’Italia. I’m going to try and do a quick overview of where things stand as we hit the rest day, as much for my own benefit as yours. Sod the points competition and the stage wins, let’s keep this focused. Nairo Quintana is leading, so how did this happen? As far as I can tell, only two stages really mattered – both summit finishes. The finish up on Mount Etna was far from decisive, but it did a damn good job of binning pretenders. Ilnur Zakarin gave a slight hint that he might be the best climber in the race, but turns out he isn’t. 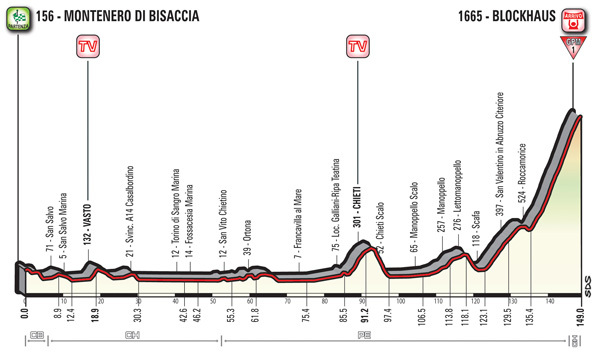 Yesterday’s stage brought Blockhaus, which some believe is the toughest climb in this year’s race. The average gradient was unnerving rather than horrifying but it masked the irregularity of the slope and gave no hint whatsoever as to the shittiness of the road. Nothing brings about an “every man for himself” scenario quite so effectively as a bit of a duff surface on a climb. While Quintana was quickest, and by a decent margin, Tom Dumoulin’s performance also stands out. This was a real climber’s climb and yet he finished third. This leaves him just 30 seconds behind Quintana but he should make mincemeat – if not mechanically-recovered meat – out of the Colombian in the upcoming time trials. This is why I like the Dutchman. With Grand Tours overwhelmingly contested by flyweight climbers these days, he reaches a similar destination via an entirely different route. Were a similar rider to Quintana to find himself 30 seconds adrift, he’d just be behind – pure and simple. Dumoulin, in contrast, can claim to be “ominously poised”. Both Adam Yates and Geraint Thomas were waylaid by the filth. As the peloton raced to the foot of the climb, a police motorbike rider thought he’d pull over and stand about for a minute as the peloton passed by. The unexpectedly narrowed road saw pretty much the entire Sky team taken out, including co-leader Mikel Landa. Thomas was particularly badly affected. He said his shoulder “popped out”. Given that, it was a miracle he only lost five minutes. Five minutes is easily enough to totally knack up his chances though. Nappies and naps and lying flat on my back with a miniature semi-me flopped on my chest mostly. Race-wise, I dunno. Two time trials and a whole bunch of climbs, I think – but I couldn’t tell you what comes when. I’ll aim to check in with you all again at the next rest day. Congratulations for Niamh. Welcome to the good life of nappies and irrationality. You’d have to ask others whether I was rational to begin with. Or maybe you mean her. Or mum. Yeah, thinking about it, you make a good point. 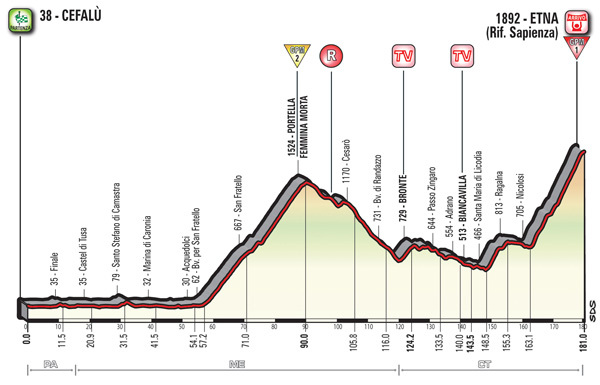 On the Giro front: Pure climber v strong TTer who can hang on in the mountains is my kind of battle and the fact that the strongest climber here is weaker in TTs than a number of his rivals is great for the race. It adds another dimension and hopefully means that not everything is decided in the last 5-6km of 3-4 mountain stages. In an ideal world we’ll go into the final stage with multiple potential winners. Yes, time trials aren’t great to watch but that’s to miss the point. Their inclusion brings a whole extra dimension to mountain stages. It’s not enough for a climber to win – they also have to gain enough time. Congratulations! Your articles always make me smile. But more so today. Probably can’t deliver quite like this every week, but delighted to have done so once.